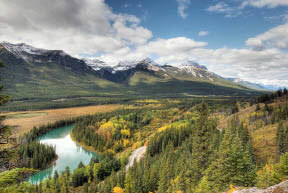 First and foremost, the sightseeing opportunities around Banff, Canada and elsewhere in the surrounding province of Alberta are literally endless – even if you prefer high-heels to hiking boots. 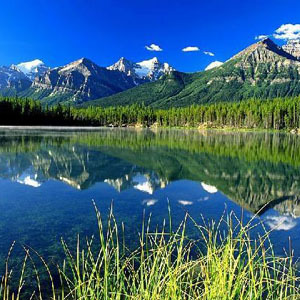 The town of Banff, for example, is surrounded by the mountains of Banff National Park. To enjoy breathtaking scenery of snow-capped peaks and forested valleys, all you have to do is open the curtains of your hotel room and look out. • Lake Minnewanka: commercial tour boats provide access to Devil’s Gap, where vertical stone walls rise out of this still, 142-meter deep lake which lies northeast of Banff (the western end of the lake is just a few kilometers away from downtown Banff. Looking for a guided sightseeing tour? 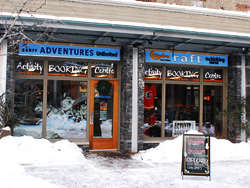 Look no further than the adventure and guided tour specialists at Banff Travel.